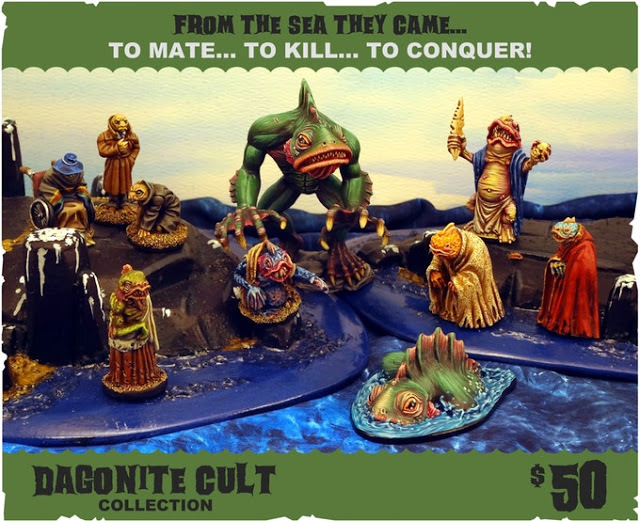 One of the things that I absolutely love are miniatures of Cultists and Cthulhuian based Deep Ones. When I saw the video below on the web, I wanted to share it with my readers. Check this out. 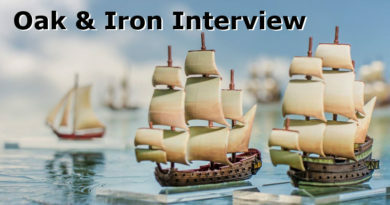 To me, this Kickstarter (for the game Von Unaussprechlichen Kulten) looks very interesting. The idea is that you play as a cult and duke it out with other cults to gain the favour of your evil God. There are six Cults that you can choose to play. The game, Von Unaussprechlichen Kulten, is by the same person that brought to life Strange Aeons (a game that has captured my interest, but I am yet to play, for a number of years now). The following images are from the Von Unaussprechlichen Kulten Kickstarter Page. Of the Above groups, the Cult de Ghouls are my favourite followed by the Fraternity of Madmen. 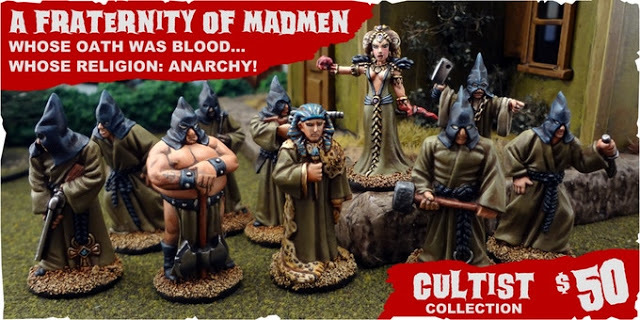 As far as my own pre-existing cults, I already own the cultists for USX Modern Day Heroes, the cultists for Frostgrave, the cultists from 40K, and many unpainted cultists from RAFM’s Cthulhu line. I also owned a fully painted set of Mansions of Madness (until I recently sold it to a happy new owner) and collect miniatures of Deep Ones. Forgotten Pacts “NickStarter” Starts Monday!! !